MICHAEL KIM is presently associate professor of music at Lawrence University Conservatory of Music in Appleton, WI. 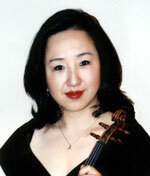 Dr. Kim continues to perform as soloist with many orchestras, highlighted by appearances with the Boston Pops at Symphony Hall, the Cincinnati Pops, the Florida Orchestra (Tampa, St. Petersburg, Clearwater), the Royal Scottish National Orchestra (Glasgow, Edinburgh, Dundee, Aberdeen), the BBC Scottish Symphony, and the symphonies of Milwaukee, Oklahoma City, Green Bay, Fox Valley, Waukesha, Vancouver, Victoria, Calgary, Edmonton, Regina, Saskatoon, Winnipeg, London, and Toronto. He has also been a featured soloist with the summer festival orchestras of Brevard, Banff, and Huntsville, with the Calgary Philharmonic Orchestra conducted by former UK Prime Minister Sir Edward Heath, and in a tour of Peru with Orchestra Sinfonica de Trujillo. As a recitalist and chamber musician, Dr. Kim has performed extensively throughout the U.S., Canada, U.K., South America, and Asia, and at the summer festivals of Aspen, Banff, Heifetz, and Niagara, frequently collaborating with wife pianist Kyung Kim, and sister violinist Helen Kim. His live performances and recordings are frequently broadcast on the radio networks of CBC, BBC, NPR, KBS, and Chicago’s WFMT. He continues his association with Piano Six (now Encore Six) for whom he has toured three times, most notably as a last minute replacement for Marc Andre Hamelin, a tour which received enthusiastic reviews and acclaim. Dr. Kim is also a popular adjudicator and masterclass clinician for many competitions, schools, teacher workshops and conventions throughout North America. A recipient of numerous awards, Dr. Kim was silver medalist in the Scottish International Competition in Glasgow, and a prize winner in the Leeds and Ivo Pogorelich International Piano Competitions. He is also grand prizewinner of the Canadian Music and the Canadian Broadcasting Corporation National Radio Competitions. Rev. 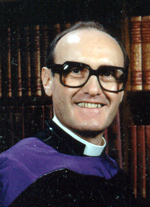 Father John M. Palmer, C.S.V. Father John Palmer of the Clerics of St. Viator, and Professor Emeritus of Music at Benedictine University , is a native of Halifax , Nova Scotia , Canada . He holds degrees from Acadia University , Nova Scotia ; The Royal Conservatory of Music, Toronto ; Northwestern University ; and Trinity College of Music, London , England . Father Palmer has also studied with Jean Langlais in Paris . His piano studies were with Felicita Kalejs and Earle Moss. He has given numerous lectures and masterclasses to the Illinois State Music Teachers Association. Topics covered have been interpretation and realization of ornaments in the clavier music of J.S. Bach; interpretation in the Romantic Period, specifically with the music of Chopin; and the Classical Period; examination of ornamentation and style in playing the music of Hayden; tips for judging at examination and competition. Father Palmer continues his recital work and maintains a demanding private teaching schedule at Benedictine University and at his studio in the Fine Arts Building in Chicago . He is also a Senior Piano Examiner for the Royal Conservatory of Music examinations. "This is truly a most impressive competition reflecting much fine talent. The organization of the competition is exemplary and teachers should be encouraged to enter their students for the opportunity to experience this unique music making. " ... John Palmer, C.S.V. Solo and collaborative performances throughout the Americas, Europe, and the Far East. Recordings of Debussy on Cadenza Classics, chamber music on Newport Classics and Boston Records, contemporary American music on Northeastern and CRI. Winner and finalist in various competitions, including Royal Overseas League Festival in London, AVANTI award leading to a debut in London's Purcell Room, Yellow Springs Chamber Music Competition, J.S. Bach International Piano Competition. Honorary Associate, Royal Academy of Music in London. Presented as guest teacher/panelist by organizations such as The Chautauqua Institution, United States Information Service, Sydney Conservatorium of Music, Yamaha Music Malaysia. Students have won awards at the Fischoff Chamber Music Competition, Union League Competition, Tokyo International Piano Duo Competition, Shostakovich Competition in St. Petersburg. Studied with David Burge at the Eastman School of Music and with Hamish Milne and Dennis Murdoch at the Royal Academy of Music as an Associated Board scholar. Alison Dalton began violin lessons at the age of five with her father and studied with the virtuosi William Primrose and Henri Temianka before her debut at twelve with the Utah Symphony under Maurice Abravanel. She went on to join the class of the great pedagogue Ivan Galamian at the Curits Institute of Music and receive her Master’s degree at the Manhattan School of Music with Glenn Dicterow. As principal second violin of the Austrian Radio Orchestra in Vienna she toured extensively with the Klaring String Quartet and as a member of the avante garde chamber group Kontrapuktus. Ms. Dalton made Chicago her home when invited by Sir George Solti to join the Chicago Symphony Orchestra and has enjoyed being a member of the first violin section for many years. She is a founding member of the Axis Ensemble and Westshorelands Preparatory Music School as well as being active as a soloist and as the mother of five young children. 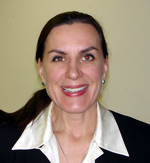 Her passions also include hiking and dance, and the study of bioethics and philosophy. A native of New York City, Russell Hershow took his first music lessons from his father, who was an amateur violinist. He went on to attend the Juilliard School and the Indiana University School of Music, graduating with a bachelor of music degree. He received private instruction from Josef Gingold and Yuval Yaron at Indiana University and Joseph Fuchs at Juilliard. Russell participated in numerous music festivals and competitions before joining the Baltimore Symphony Orchestra in 1987. 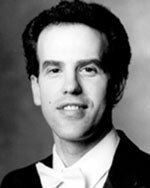 In 1989, he played with the Pittsburgh Symphony for a short time before joining the Chicago Symphony Orchestra later that year — just in time to participate in the Orchestra's exciting sixth concert tour to Europe with Sir Georg Solti. Russell pursues an active chamber music career in Chicago. 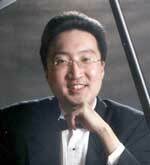 Yuan-Qing Yu joined the Chicago Symphony Orchestra in 1995. A year later, Daniel Barenboim appointed her Assistant Concertmaster. An international award-winning violinist, Yuan-Qing leads an active life in music as a soloist, chamber musician, teacher and advocate of the Chicago Symphony Orchestra. A native of Shanghai, Yuan-Qing won the Chinese National Violin competition at age 17. The following year, she captured second prize at the world renowned Menuhin International Violin Competition in England. Yuan-Qing also took the third grand prize in the 50 th Jacques Thibaud International Competition in Paris, and a special prize for outstanding performance of the contemporary work written specifically for the competition. Yuan-Qing has given critically acclaimed performances as a soloist with the Chicago Symphony Orchestra, Monte Carlo Philharmonic Orchestra, the Radio France Philharmonic, and the London City Orchestra. In recitals, Yuan-Qing has performed at Weill Hall in New York 's Carnegie Hall, Ambassador Hall in LA, Casals Hall in Tokyo , the Concertgebouw in Amsterdam , the Salle Pleyel in Paris , and the Centre de Congre Auditorium in Monte Carlo , and locally on the Dame Myra Hess Memorial Concert Series and the Norton Concert Series. Yuan-Qing has great enthusiasm for contemporary music. In 2002, she gave the Chicago premier of Maestro Pierre Boulez’s Anthèmes 2, she also performed this work on tour in Berlin with the Chicago Symphony Orchestra. The performances won high praises from both Maestro Boulez and the critics. Yuan-Qing performs with a number of chamber music groups, giving more than twenty performances each year throughout the Chicago area. As a founding member of the Sebastian Quartet, she has performed on Live from Studio One and on the Rising Stars Series at Ravinia. Her performances have often been broadcasted by WFMT. Yuan-Qing has performed with Daniel Barenboim, Pinchas Zuckerman, Yo-Yo Ma and Menahem Pressler on the Winter Chamber Music Series at Northwestern University. Yuan-Qing shares her love for the art of violin playing with students throughout Chicago. She teaches violin privately and as a professor at Northwestern University. She also serves on the faculty of Blue Mountain Summer Music Festival in Carlisle, PA.
As a member of the Chicago Symphony Orchestra, Yuan-Qing recognizes the importance of building patrons’ familiarity with the CSO and exposing young students to classical music. She has offered her services as a performer, teacher, and interviewee on the CSO Radiothon. She has donated her services to church and community music-education programs. She has also enjoyed performing in school concerts and CSO-sponsored events for patrons. Yuan-Qing is also a member of the Chicago Network, an organization that supports women leadership. Her upcoming engagements include recitals and chamber music concerts in the Chicagoland. Outside of music, Yuan-Qing and her husband, Ron Mui, enjoy time with their daughter Margaret and son Aaron. Thank you for judging the 2005 Annual Sejong Music Competition !